NONFICTION writers, this is a STEP-BY-STEP guide that walks you through how to write a book. These steps will show you how to develop the good writing routines and a solid timeline, then how to write a first draft and revise the draft, how to bring in beta readers and incorporate their feedback, and finally, how to pull it all together into a finished manuscript. 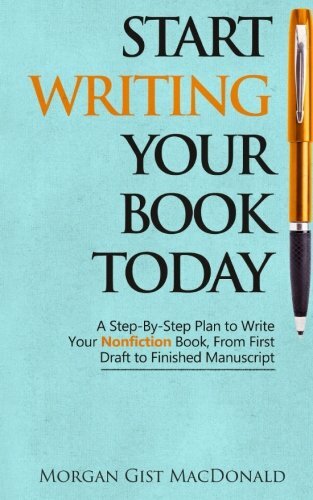 This book also shows you how to streamline your argument, how to make sure you don’t have repetitions or tangents, and how to incorporate research without getting sidetracked in your writing. Each step is laid out for you. No more excuses. You’ll be ready to finally start writing your book. Great book to start writing that book you have been wanting to write !